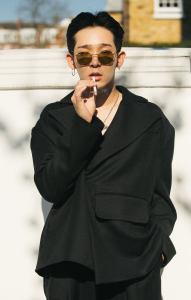 South Club Goes South on "20"
To the surprise of his fans, Cleveland rapper Kid Cudi decided in 2015 that he would delay the much-anticipated, yet-to-be-released final installment in his Man on the Moon album trilogy, and instead release an album before that, titled Speedin Bullet 2 Heaven. The surprise gradually turned into disappointment when it was revealed that there would be no features on the track list; the disappointment turned into worry when it was revealed there would be no synths or electronic sounds on the album, and the album’s soundscape would be limited to bass, guitar, and drums played by Cudi himself. Here was a rapper — and a mediocre, nasal singer at best — who was about to release an alternative, punk-rock album. Expectations and excitement for this album eventually dwindled down to sheer morbid curiosity: how bad could it be? As it turned out, the answer was very. Kid Cudi outdid himself. I know there’s no such thing as objectively bad music, but that album made a compelling case in that regard. The instrumentation was basic, the morbid lyrics were primitively stomach-churning, the inexplicable skits between tracks were asinine, and clocking in at an hour and a half, it was soul-crushingly, pretentiously long. It was clear to anyone paying attention to the lyrics that Cudi probably wasn’t in the best of places, mentally speaking — and indeed, he checked himself into rehab a year later to treat his depression — but the album handles the themes like a bull in a china shop. To call Speedin Bullet 2 Heaven a grunge album — hell, a rock album — would make Kurt Cobain roll in his grave. On the other hand, South Club had given us no reason to be worried. Their debut album 90 did justice to the grunge movement they were trying to emulate, and besides the last two tracks on the album, I really enjoyed it. The melodies were catchy, Taehyun was a compelling vocalist, and the instrumentation was gorgeous. 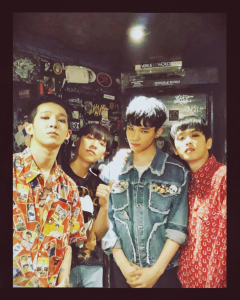 Sure, the band faced some member changes, including the exit of keyboardist Choi Yun-hee, as well as bassist Kim Eui-Myeong, but that was offset by the entry of the equally talented bassist Nam Dong-hyun, brother of Nam Taehyun. Their Europe tour completed without a hitch, and the announcement that they were coming back with 20 rightfully generated much excitement, and I was very much looking forward it. Taking all of that promise into account, 20 is bad. Not only is it nowhere near as good as their debut album, I’d argue it’s a giant step back for South Club. It is almost farcical how much worse it is. Whilst revisiting this album, trying to find some semblance of a saving grace it possessed, I was struck by how 20 frustrated me in the same ways Speedin Bullet 2 Heaven did. Granted, it isn’t as long, Taehyun is clearly still the better singer, and the instrumentation is leagues better, but many of my complaints of Speedin Bullet 2 Heaven could also apply to 20. One of the few positive things I can say about 20 is that these songs all generally follow the same theme, that of Taehyun’s troubles he faces whilst in his 20s. On the title track “Outcast”, he talks about his public perception, making a few oblique references to several ‘scandals’ he had in the past. He acknowledges and even embraces the image he’s given off in public, but maintains that he’s lonely and wants to get to know other people better. He is unapologetic about who he is and how he acts but hates how people shun him for it. 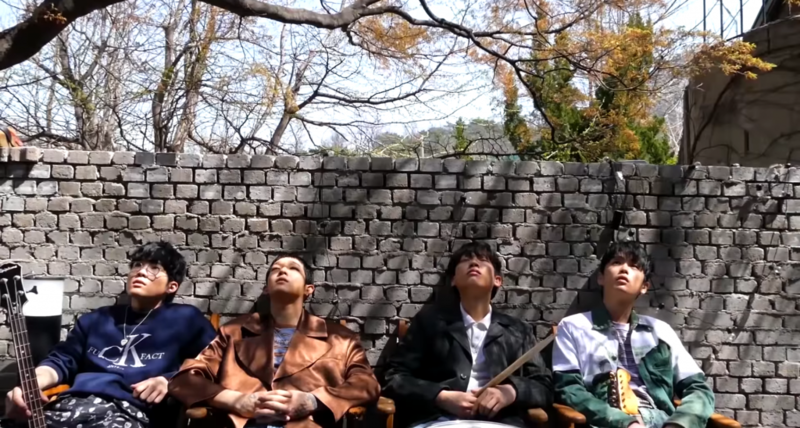 In the grand scheme of the album, “Outcast” is probably the lyrically strongest track, and it even starts off deceptively well; the first 30 seconds builds momentum akin to South Club’s previous work, “Dirty House”, adding elements bit by bit over a steady, throbbing bassline. But then once you reach the chorus, it feels like you’ve run into a brick wall. Inexplicably, the drums slow down, making way for some distorted runs of the guitar, and Taehyun delivers an unsatisfying, repetitive chorus of “I need a friend” in a disinterested manner. Once it ends, and Taehyun segues straight into the next verse, you can’t help but wonder, “is that it?”. And then it got worse: amidst the really great guitar breakdown, Taehyun decides it’s a good time to ruin things and start screaming. Maybe it was a misguided attempt meant to make the listener feel what he’s going through, but I don’t know why he simply couldn’t have expressed it better with his lyrics or his singing. It’s as though he took one listen of David Bowie’s “Five Years” off his masterpiece concept album Ziggy Stardust — where Bowie has a similar emotional breakdown near the end — and decided “Hm, that sounds great, I’m going to try that on my next album”. But here’s the thing: in that song, David Bowie as Ziggy Stardust was crying for the end of the world, which experts had predicted would happen in five years, due to Earth’s lack of natural resources, which was what made “Five Years” such a riveting, emotional epic. In comparison, the things Taehyun sings about are so comparatively mundane, and sung so uninterestingly, that all we feel from his pretentious wailing and screaming is annoyance and frustration. I have similar criticisms about “Blues of D”. I love the instrumentation on this, underdeveloped as it may be. Whoever does the piano riffs on this song deserves special kudos: the gliding keys, the riffs are all done in such a way that it seems to take a life of its own in the back of the song. But Taehyun somehow manages to squander that beautiful instrumentation. I’m not going to hold the repetitive nature of the song’s melody against him: it’s blues, repetition of lines are common, and that can make it difficult for the melody to develop or change it up. But Taehyun’s singing feels so aloof and the lyrics so bluntly basic — despite dealing with heavy themes about how suicidal he feels and how he cries because the listener isn’t in his world — that it’s hard to empathize with the music. It’s as though he’s unable to artfully pen his feelings into song. Then again, there could be another reason for these seemingly basic lyrics. Last year, Taehyun alarmed many with his posts on Instagram, captioning them with alarming messages such as “the worm he licks my bones, Yes, I feel so suicidal, lonely”. The much-needed context was later given that these were lyrics to the Beatles hit “Yer Blues”, and though the message was still disconcerting, it soon became accepted that perhaps he was just having a bad day. Thus, the reuse of the lyrics in “Blues of D” is perhaps a homage to John Lennon and the song that strongly resonated with Taehyun. My main issue with this reasoning is that John Lennon sings “Yer Blues” with such energy that Taehyun’s homage in comparison feels half-hearted. Also, knowing that John Lennon originally composed “Yer Blues” as a satirical, mocking take on the bands caught up in the British Blues Boom — a sudden spike in interest in the genre originated by African Americans in the 1930s — really takes us away from “Blues of D”, in which Taehyun seems to want us to take his issues seriously. All in all, it’s another weak song that not even Taehyun’s vocal flourishes and beautiful piano riffs could save. Take away any excitement “Blues of D” might have generated, take away that one line about suicide, take away the glorious piano riffs, and you have “Blues of A”. It’s probably the most half-assed track on this entire record, and lyrically it’s almost a carbon copy of “Blues of D”. Once again, Taehyun is crying, lamenting how much he misses his old flame, and how his looks and his fame do nothing to quell such feelings. Taehyun actually does his best over an uninspired melody that once again doesn’t really climax. He shows restraint, and we are given the peace of mind to appreciate Taehyun’s mellow, throbbing vocals over a plodding bass. But once you realize that Taehyun’s essentially saying the exact same thing on the previous track, you lose all motivation to keep paying attention to “Blues of A”, which in its composition and melody is already a snoozefest. Which leads us to the last track, and the least objectionable song on the record, “Grown Up”. On this track, Taehyun reflects on a past relationship and resolves to get over it, saying that he’ll be grown up. As the most sonically complete track on 20, “Grown Up” is this album’s saving grace. I like the chorus, simple as it may be, for the equally simple reason that the vocal layering is very nicely done. Fittingly, the lyrics add a much-needed dosage of maturity to this entire record, as Taehyun acknowledges his faults that led to the end of his relationship. I’ll be grown up, I’ll be grown up. I also appreciate how well Taehyun’s adlibs near the end build toward an emotional conclusion. Before, I’ve felt there was a sort of disconnect between Taehyun and the instrumentation, but on this track, you can feel Taehyun and his band work as one for a beautiful finish. Still, the comparative greatness of “Grown Up” feels like too little, too late. Coming from a great debut like 90, I struggle to understand just how South Club managed to put out a record as misguided, as unfocused, as undeveloped like 20. 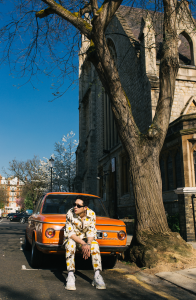 What makes the basic lyrics, the heavy-handed take on heavier themes, the poor emulation of greats like Bowie and Lennon, and the boring melodies even worse is the feeling that Taehyun — and the rest of South of Club — take themselves far too seriously, despite sounding like a jumped-up garage band at best. I hope Taehyun finds a way to take a step back, figure out what went wrong, and settle upon the artistic direction South Club wants to take going forward because if they continue releasing records like this, they won’t go anywhere but south.